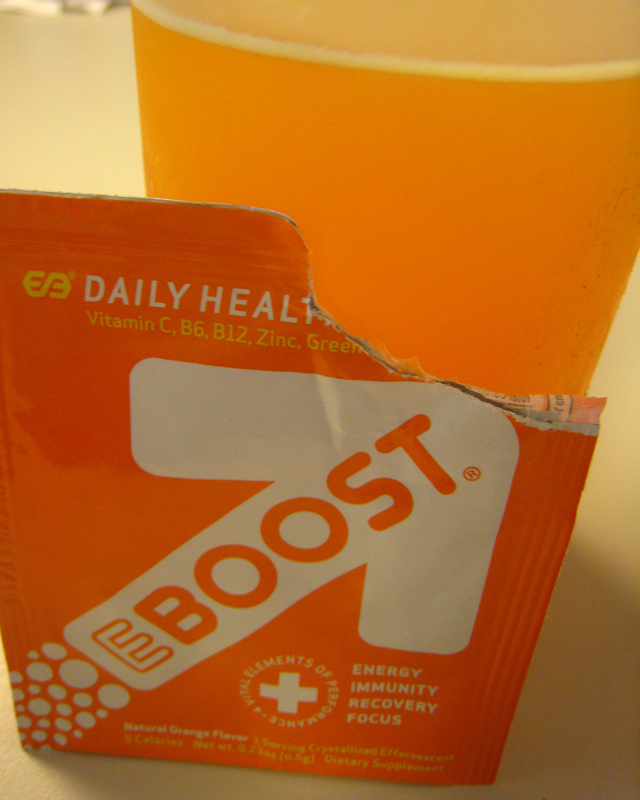 New Ultimate IZEAFest Sponsor EBOOST! 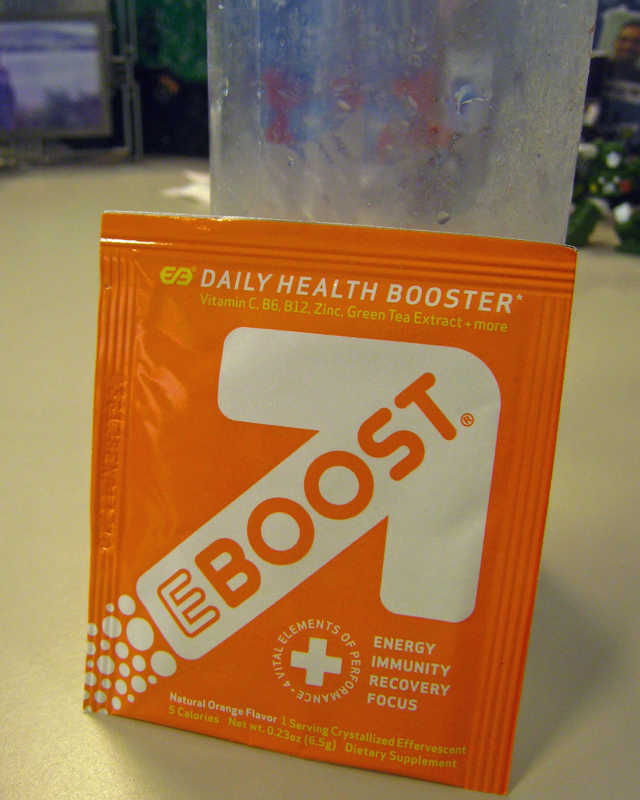 The other day I received an email from the folks at EBOOST – Daily Health Booster. They wanted to know if I was interested in trying the product. I was, so they send me 10 packets, 5 of the Orange Flavor (my favorite) and 5 of the Pink Lemonade Flavor (Save the Boobies tie in there.) I’ve tried a couple of packets and I liked the product. Basically EBOOST comes in two different forms, powder and tablet. Both effervesce when in water so you get a nice little bubbly drink. The flavor is pretty good too. I much prefer the Orange over the Pink Lemonade. I’ll have to give the Pink Lemonade a shot again though. EBOOST is full of vitamins and as well as Green Tea Leaf Extract for that caffeine kick! Here is a full list of what’s in EBOOST. The thing that made me excited about this product was that it has no sugar, it uses Stevia Leaf Extract to sweeten the drink. Being a Type II Diabetic, concern over my Blood Sugar is key. The other thing that made me excited was that it should help keep me awake. Did it help me stay awake during meetings and such. Yes. Did I enjoy the little boost of immunity, I’m not sick but cannot confirm not deny the improvement of that from EBOOST. Was I more focused, Yes. I’ve been laser focused on tasks at hand. Did it spike my sugar levels. No. After trying the product I contacted EBOOST. I wanted to make EBOOST easily available to my readers and also include EBOOST as part of the Ultimate IZEAFest Prize Pack. We came to an agreement and it was even better than I had hoped for. EBOOST is providing me with a Discount Code for 30% of online purchases of EBOOST. That is SPARK30 to be used on the EBOOST Online store for the next 30 days. 1 tube of EBOOST Orange flavor and 5 packets of Pink Lemonade Flavor for each winner in the contest. Plus – If you see me at IZEAFest 2009 and need an EBOOST. Come up and ask me because I will have EBOOST packets a plenty to give away. You can also follow EBOOST on Twitter. Why is the pink more expensive? It is $28 for a 24 pack of orange and $28 for a 20 pack of pink. Not sure, Donation for breast cancer research? Great to see some more sponsors added to the list. Soon you’re going to have to change the name. Super-Ultimate IZEAfest?